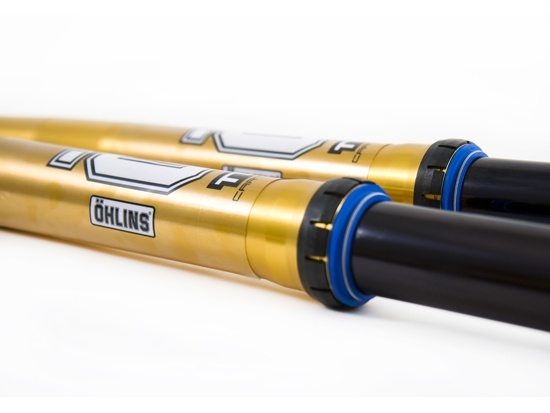 The front fork is updated on many areas, such as new outertube as well as a new steel tube with a new coating to give less friction. 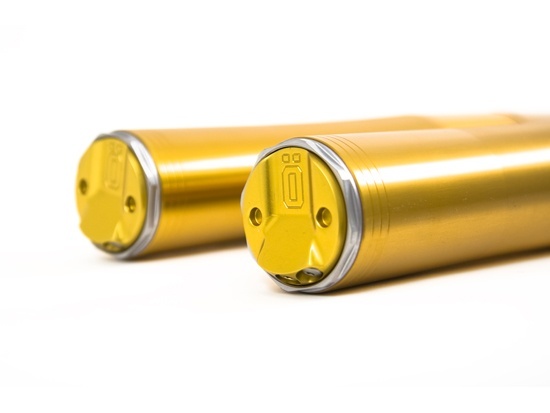 The 22mm cartridge pressurized cartridge kit inside has a new piston holder, that also helps out when doing maintenance of the fork. The check valve is also improved with the service capability in mind. 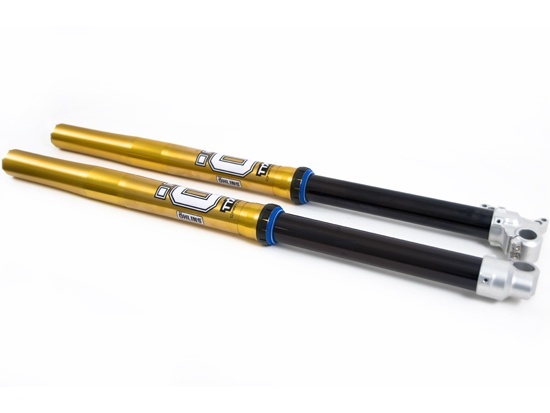 The fork bottoms now comes in a different aluminium alloy that is stronger towards hitting stones and at the same time incorporates the strength necessary to have when landing hard after long jumps. Less friction in combination with small improvements in many areas, still with all of the last years news inside, we give you improvements that brings your bike to top level racing.